The roadway after leaving Sound Money and adopting a Fiat currency regime is well marked by failed governments. No one has ever survived it. 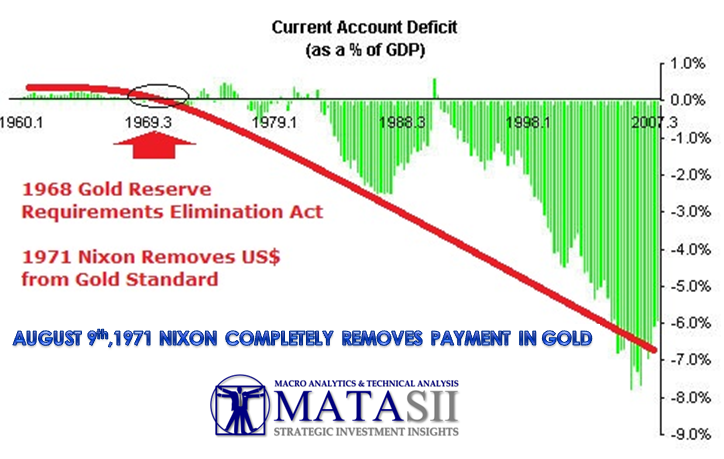 It is clearly evident that the first signs appeared in March 1968 when the US Congress based the "Gold Reserve Requirements Elimination Act". 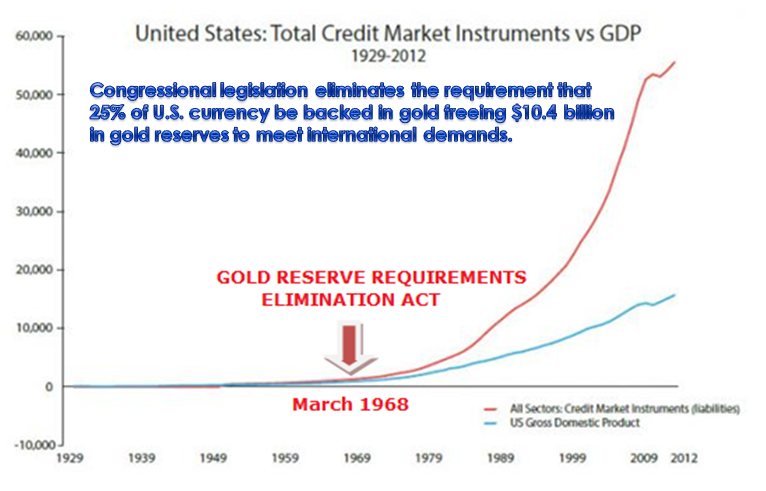 This stealth peace of legislation eliminated the requirement that 25% of US Currency be backed in gold. It was enacted to free up approximately $10.4B in gold reserves to meet international Balance of Payment settlement demands. This was the initiation of removing the US from Sound Money and towards of "Fiat Currency" regime.